It is an oft told story, but worth repeating. Once upon a time the great food writer, M. F. K. Fisher, found a copy of Catherine Plagemann's Fine Preserving. Fisher loved the book and used it so often that she made notes in the margins commenting, changing recipes, and picking favorites. Her favorite recipe was an easy and wonderful Pickled Grape. Twenty years later, Fine Preserving was reissued with Fisher's notes printed in the margins. Several years ago we wrote about the two volumes at Cookbook Of The Day and included the recipe. Kevin West in his exhaustive preserving book, Saving The Season, also features the recipe. 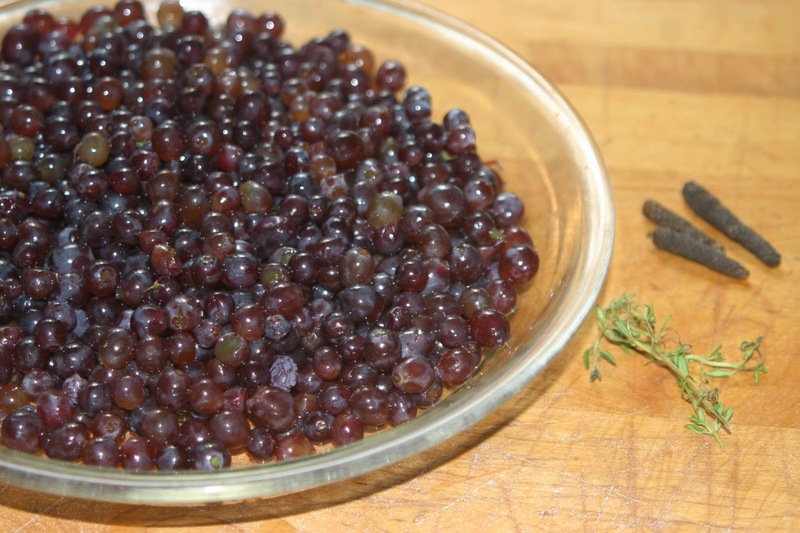 Last week we found a gorgeous container of champagne grapes. 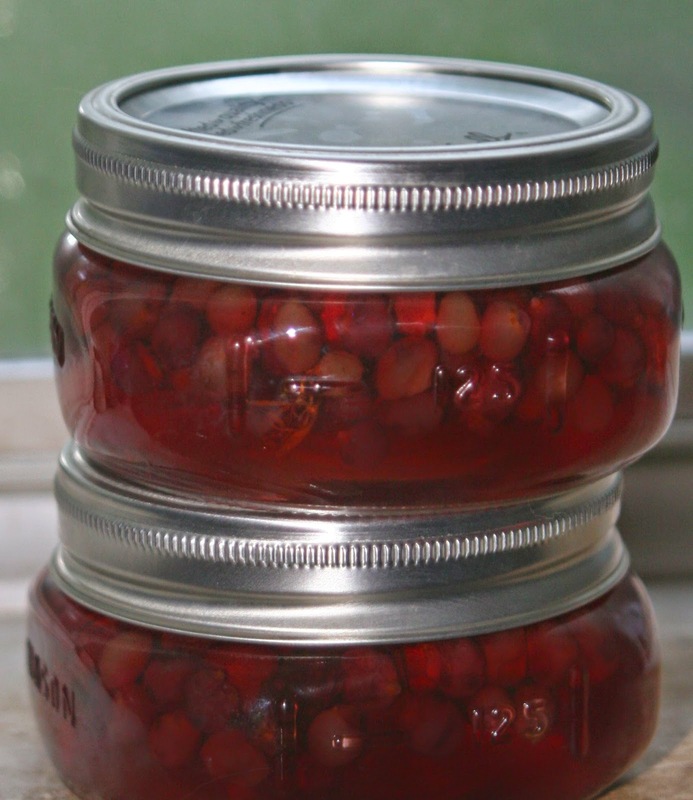 What better way to preserve these little beauties than by making spiced grapes. We changed the recipe a bit, substituting long pepper for cinnamon and adding thyme instead of the onion, even Fisher didn't like the onion.